2D Art The Transformers Seeds Of Deception all-including thread! 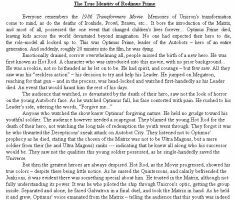 Transformers: Seeds Of Deception presents Magnificent Saga in PDF format. 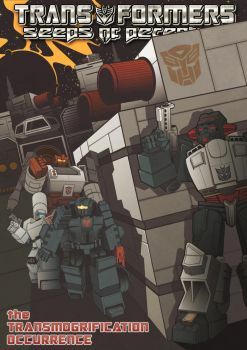 Collecting Magnificent Premonition, The Artifacts, Poisoned Chalice, Magnificent Crisis, this comic delves deep in the Transformers mythology of present, past and future! During The War Within, Optimus Prime and Megatron experienced a vision of an impossible "G1" future: in present time, during the events of Escalation, the same vision returns... showing Beast Wars, Beast Machines and even Dai-Atlas! From another reality, Macabre enters this one, facing Hot Rod and exposing the dire consequences of using the cursed Instrument Of Destruction known as the Magnificence. Before reality goes completely bad, losing any internal logic and consistency, will Hot Rod find the strength to use the Matrix Goblet and make the final sacrifice? The whole Magnificent Saga is now collected in one easy-to-download PDF file, featuring bonus sketch art for Rodimus Prime, and a Secret File revealing a glimpse of Rodimus Prime's future and the origin of the Unity Sceptre . Transformers: Seeds Of Deception on DeviantArt: the War Within based fancomic project. Follow the the blog. Transformers: Seeds Of Deception presents three new pages of "The Transmogrification Occurrence" (1) . What's happening inside Metroplex? 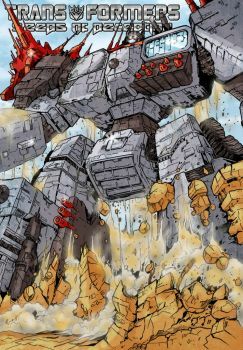 As Scamper, Six-Gun and Slammer faces the first salvo of Axer's attack, a flashback battle against Scorponok reveals the reasons of Axer's attempt at stealing Metroplex's Transmogrification Drive! Seeds Of Deception presents Differentiation (Act 4): Manipulation. Astrotrain has made a deal with the devil he knows-- that is, Ratbat! But how does this creepy mechanoid plans to use his Energon-sucking skills to save Megatron from the Mini-Reaper infection that has paralized his systems? Find out nowm, as Differentiation leads to... Separation. Now more than ever, The Future is -Ation! From the pages of Magnificent Crisis, the guardian of the most secret Autobot facility in the whole galaxy: the Stalwart, protector of the Musoh-Sei Station! Transformers: Seeds Of Deception presents the cover of "The Transmogrification Occurrence" (1). Last edited by M3Gr1ml0ck; 04-25-2017 at 04:09 AM.